This video captures a conversation with Anthony C. Wood, founder of the New York Preservation Archive Project on what led to the passage of New York City’s Landmarks Law, how it has affected the urban environment since, and the prognosis for preservation looking forward. This report by the NYU Furman Center, released in March 2016, shows the extent of preservation in New York City and compares the land use, housing stock, demographic characteristics, and commercial property in historic districts with those in areas that are not regulated by the New York City Landmarks Preservation Commission. This study analyzes the New York City Landmarks Law and its economic, social, and environmental impact on the City and its residents. This article explores the drafting and wording of the Bard Act and its influence on New York City’s Landmarks Law. This personal account describes how dedicated, passionate, and informed citizens took the future of their neighborhood into their own hands and successfully protected Brooklyn Heights from development pressures. This video serves as a prelude to Martin Schneider’s “Battling for Brooklyn Heights,” which is also included in these resources. This research project investigates Robert C. Weinberg’s role in the development of historic preservation in New York City. This thesis hopes to improve the enforcement procedures of the NYC Landmarks Preservation Commission (LPC) and further the protection of the historic resources under its regulation. This Widener Law Review volume is based on selected papers presented at the 2011 Fitch Forum held at Columbia University that examined the role of preservation law on the 45th anniversary of the creation of New York City’s landmarks preservation legislation. This report, released in May 2016 and prepared for the New York Landmarks Conservancy, quantifies the contributions of historic preservation to the economy, the environment, and the life of the nation’s greatest city. This is a transcript of panel arguing for the value of historic preservation with Eric W. Allison, Dorothy Miner, Anthony C. Wood, and Jeffrey Kroessler at the Gotham History Festival on October 6, 2001. This study describes and analyzes the history of the New York City Landmarks Preservation Commission from its beginnings through the end of the 20th century. This report, prepared for the New York City Landmarks Preservation Commission in 1989, is an examination of the administration of the Landmarks Law and proposes a series of recommendations to improve the Commission’s work. This manuscript explores civic figure George McAneny‘s work and his profound influence on the 20th-century built environment of New York City, with a focus on past and present conflicts over planning and preservation. Funding for this project was provided by the New York Preservation Archive Project. This film was the first primetime broadcast advocating for preservation efforts in New York City. Originally airing on WCBS-TV on September 21, 1961, Our Vanishing Legacy looks at threats to the City’s architectural heritage and argues the need to enact a law to protect important landmark buildings. The Preservation Pioneers oral history collection was undertaken in the mid-1990s to document the memories of the women and men who led the nascent preservation movement for Greenwich Village. This report is a summary of discussions hosted by the Preservation Vision: NYC project, which invited interested citizens and preservation practitioners to think about the future of historic preservation practice in relation to the future of the city, creating a temporary forum for the profession to think concretely about its long-term goals. This article, which originally appeared in Antiques & Fine Art XIV, no. 1 (15th Anniversary/Spring, 2015), is a brief history of the Landmarks Law in honor of the law’s 50th anniversary. This thesis, written in a journalistic, creative nonfiction style, explores how New York City treats modern architecture under the Landmarks Law, referencing such buildings as 2 Columbus Circle, the Lever House, and University Village. Released in May 2016 by the Historic Districts Council, this report analyzes data for New York City’s historic districts using U.S. Census Bureau affordability and income indicators including rental prices, income, and rental burden, as well as building-level affordability indicators for housing in privately-owned and publicly-subsidized rental developments. This is the story of three pivotal years during which the Brooklyn Heights Association rallied a coalition of affected communities, civic groups, politicians, and engaged individuals to prevent the private development of the waterfront near Brooklyn Heights and instead create the Brooklyn Bridge Park. This documentary celebrated the 50th anniversary of New York City’s Landmarks Law in 2015 by exploring the historic preservation movement and the work of the City’s Landmarks Preservation Commission, which together have protected thousands of culturally- and historically-significant sites in all five boroughs of the New York City for the past half century. This radio broadcast with Archive Project founder and chair Anthony C. Wood discusses the history and current state of the historic preservation movement. Explores the importance of planning for the future of a corporation (or not-for-profit) by looking to its past. Explores why an organization should keep a history, what records to keep, and how to make those choices. This booklet encourages organizations to save and organize their records. and is intended to assist in the preparation of a plan for the organization and maintenance of current records and historic documents. 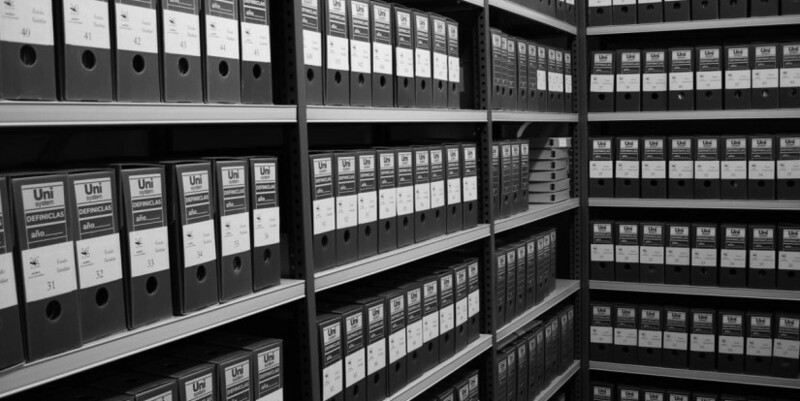 It offers advice on setting up an in-house archives, as well as factors to consider should the organization want to deposit records in an institution. This article, written for the non-archivist, provides the basics for starting an archival program. This booklet is intended to assist small, not-for-profit organizations that wish to improve control over their records. This is sample archival policy manual for a small not-for-profit organization. This guide explains document retention and destruction policies, why they are important, and how to create them. This is a sample document retention and destruction policy for a small institutional department. This document includes a schedule and guidelines for a typical not‐for-profit’s needs for record retention. This guide is intended to help small- to medium-sized institutions identify their preservation needs and develop systematic preservation programs for their historical collections. This guide explains the role of storage conditions—temperature, relative humidity, and air quality—in the physical survival of photographs, films, audio and video tapes, CDs, and DVDs. This book, with its accompanying wheel of environmental conditions, provides an overview of the stability of today’s color photographic materials and explains how and why color images fade, why they need special storage, and what can be done to make them last as long as possible. This document sets forth archivally-acceptable methods of managing email, and may be adopted, in whole or in part, by any not-for-profit organization. This handbook provides a guide to managing digital conversion projects, including tips and advice from institutions that have engaged in such projects. This article frames four dilemmas for preservation relating to the impact of environmental storage, new challenges to preservation quality, threats to audiovisual heritage, and an emerging expertise gap. This report outlines practical steps in creating an effective email preservation program to preserve email for its legal, administrative and/or historical value. This research guide, developed in 2009, lists a wide array of resources on the various aspects of oral history projects. This manual helps to introduce the field of historic preservation to the value of conducting oral history projects, and to provide a few key tools to get started. Our goal is to inspire new initiatives in locations across the country that will document the stories of preservationists. Toward that end, this manual covers recommended resources, lessons learned from our own experience with oral history work, and important steps in project planning. The Oral History Association maintains a list of valuable resources on their website, which includes online guides to doing oral history, oral history centers and collections, and regional and international oral history organizations. This brief introduction to oral history practice describes the important stages of research, interviews, processing and evaluation. The field of oral history has a strong internal code of ethics. Practitioners are also actively engaged in examining and improving their methods as the field changes and grows. A good first stop for up-to-date explanations and descriptions of important practices is the Oral History Association’s Principles & Best Practices. This curriculum guide, written in 2005 and revised in 2013, grew out of the work done by the Columbia University Center for Oral History over several years to engage with New Yorker’s memories of September 11, 2001. The guide explains clearly what oral history is, how to conduct interviews, structure projects, and make use of oral history concepts in the classroom. This style guide, prepared in 2018, describes core concepts and best practices in the transcription process. It is also a valuable reference for transcription standards that will ensure creation of clear, professional records. The mission of the Institute of Museum and Library Services is to inspire libraries and museums to advance innovation, lifelong learning, and cultural and civic engagement. They provide leadership through research, policy development, and grant making. Preservation Assistance Grants help small and mid-sized institutions—such as libraries, museums, historical societies, archival repositories, cultural organizations, town and county records offices, and colleges and universities—improve their ability to preserve and care for their significant humanities collections. Congress established the National Historical Publications & Records Commission grants program to promote the preservation and use of America’s documentary heritage. Through two competitive grant programs, the New York Council for Humanities offers nimble and responsive grants to support the diverse arts and culture sector of New York State. The New York State Archives offers grants and awards to support, promote, and recognize sound archival and records management practices, as well as to encourage creative and valuable uses of archival records. NYSCA accepts grant proposals each year from not-for-profit organizations incorporated in New York State. Grants are organized into discipline-based funding areas, including: Architecture + Design, Arts Education, Dance, Electronic Media & Film, Facilities, Folk Arts, Individual Artists, Literature, Museum, Music, Presenting, Special Arts Services, State & Local Partnerships, Theatre, and Visual Arts. The New York State Office of Parks, Recreation & Historic Preservation offers a variety of grant opportunities, workshops, and awards. The New York State Program for the Conservation and Preservation of Library Research Materials provides State funding for libraries and other organizations engaged in efforts to preserve deteriorating library research materials. ArchivesWiki, sponsored by the American Historical Association, is a clearinghouse of information about archival resources throughout the world. Founded in 1979, the Archivists Round Table of Metropolitan New York is a not-for-profit organization representing a diverse group of more than 650 archivists, librarians, and records managers in the New York metropolitan area. Columbia University’s archival collections include over 12 million volumes, over 160,000 current journals and serials, and an extensive collection of electronic resources, manuscripts, rare books, microforms, maps, and graphic and audiovisual materials. by Charles W. Bailey, Jr. This bibliography presents selected articles, books, and technical reports that are useful in understanding digital curation and preservation. The New York Public Library has more than 56,800 linear feet of material in nearly every format imaginable. Through this “Archives Portal,” one can search these vast holdings, initiate a research visit, submit a query to an archivist, and access digitized material. The New York State Archives leads efforts to manage, preserve, ensure open access to, and promote the wide use of, records that support information needs and document the history, governments, events, and peoples of New York State. Founded in 1936, the Society of American Archivists is North America’s oldest and largest national professional association dedicated to the needs and interests of archives and archivists. Offers guides on research at Columbia University’s Avery Library, with resources on architecture, archaeology, urban planning, real estate, historic preservation, and more. The Gotham Center is a public educational organization devoted to the history of New York at The Graduate Center, City University of New York. This 1996 Municipal Art Society report, authored primarily by Ned Kaufman, is the result of several years of outreach, discussion, and analysis. It focuses on the process of identifying and saving sites of historical and cultural significance in an attempt to expand landmarking discussions beyond a heavy focus on architectural significance. As Kaufman notes in his book Place, Race, and Story: Essays on the Past and Future of Historic Preservation, the words “Discussion Draft” appear on the final report because it was somewhat controversial in its time. This guide will introduce you to the vast number of resources relating to the architecture of New York City that are in the collections of the New York Public Library, as well as other institutions. The latest news about the New York City Landmarks Preservation Commission, including commentary and archival articles published in The New York Times. Preservation News, a formerly monthly publication of the National Trust for Historic Preservation, was the official journal of the organization between 1961 and 1995. With a mission to “keep members and the public informed about preservation issues and activities”, the journal serves as a complete chronicle of the activities of the organization during the intervening 34-year span. Preservationist George McAneny delivered this speech, The Fight to Save Castle Clinton, on October 19, 1950. His remarks detail the long efforts to defeat Robert Moses’ plan to demolish the historic fort at the tip of Manhattan to make way for a bridge and then a tunnel. The speech also touches on the saving of Federal Hall.